Oily skin has specific cleansing needs. To look and feel its best, it needs the right clean and specific care. Our gel exfoliator deeply cleanses, tightens pores and smoothes skin. 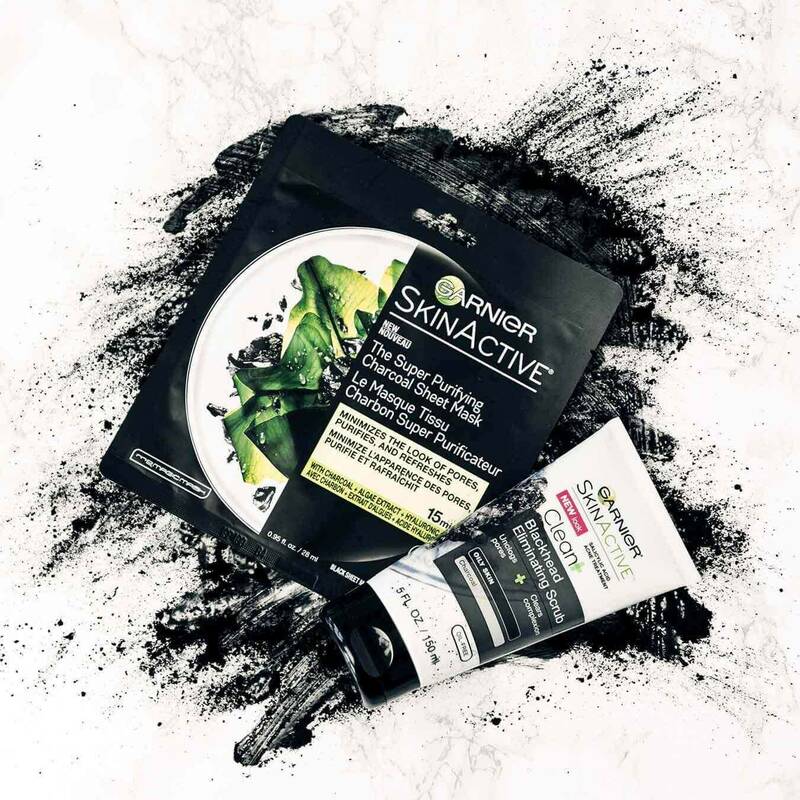 The formula with charcoal draws out blackhead-causing dirt, oil and impurities like a magnet. For external use only. When using this product, skin irritation and dryness is more likely to occur if you use another topical acne medication at the same time. If irritation occurs, only use one topical acne medication at a time. For optimal results, alternate use with Clean + Shine Control Cleansing Gel. Inactive: Water, Sodium Laureth Sulfate, Perlite, Sodium Chloride, Acrylates Copolymer, Coco-Betaine, Cocamide Mea, Glycerin, Charcoal Powder, Citric Acid, Hydrogenated Castor Oil, Hydrogenated Jojoba Oil, Iron Oxides, Polyglycerin-10, Polyglycerly-10 Myristate, Polyglyceryl-10 Stearate, PPG-5-Ceteth-20, Propylene Glycol, Sodium Dehydroacetate, Sodium Hydroxide, Sorbitol, Trisodium Ethylenediamine Disuccinate, Vaccinium Myrtillus Fruit Extract, Fragrance. In cleansers, moisturizers, and masks, Salicyilc Acid is used to soothe irritation, prevent breakouts, and plump skin for a more youthful glow. In shampoos, conditioners, and hair treatments, it leaves the scalp feeling healthier and refreshed. Rated 5 out of 5 by sp_091 from Best Scrub every I have been using Blackhead Eliminating Scrub from past 4 months. I am completely amazed and also stunned with the results I got just after 1 month use. Now I can see myself in the mirror with confidence. I personally recommend this product to my friends. Rated 2 out of 5 by KristenFTX from Loose the perfume! I bought this last week at Walmart to save myself a trip to Sephora to purchase my usual charcoal mask. Works okay, but I won't purchase again because of the way too strong perfume smell. It's like slathering your face with Pinesol! Anyone using a charcoal anything knows it doesn't have a pleasant aroma but this fragrance is so overpowering. Definitely a fail- get rid of that and I might purchase again. 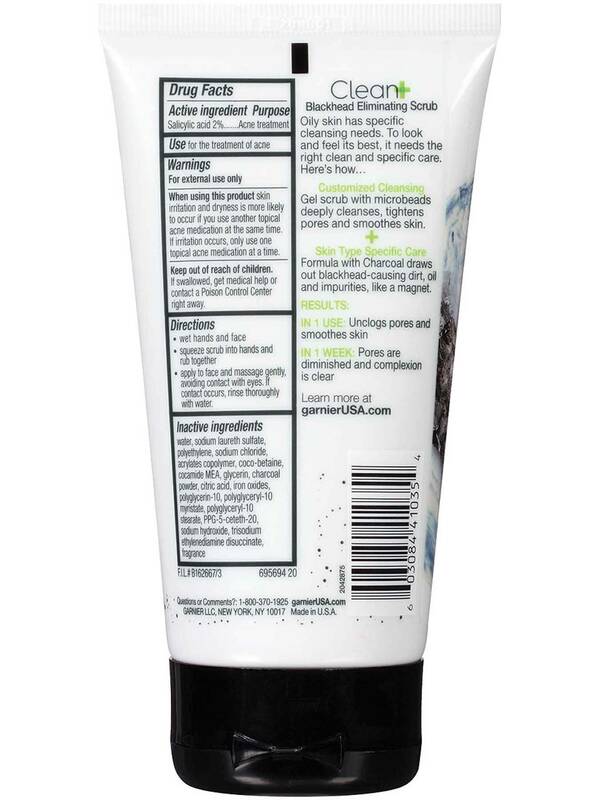 Rated 5 out of 5 by ZombieCatz from Save the scrub I've been using this product since 2016 and it is the only scrub that really gets my face clear. I absolutely love it but can no longer find it in stores. Please bring it back. I need this product. Nothing else works nearly as well. Do not discontinue it please. Rated 2 out of 5 by nicoley97 from Doesn’t work I bought this product 2 months ago and I’ve used it atmost twice a day. My pores never got smaller and my blackheads got worse. However, it is a gentle wash and scrub. Rated 5 out of 5 by Ally81 from Makes my face feel so clean I LOVE this face wash. It's the only thing that really makes my skin feel clean. However, I can't find it anywhere any more! Please don't discontinue it, because it's amazing! Rated 5 out of 5 by Ohnaisa from Love the micro beads I like this product because it clean out my pores and it also reduce the pore size now I can see myself in the mirror confidently I don’t have to worry about my oily shiny nose. Rated 5 out of 5 by ksdental from Only scrub that has worked! I LOVE this scrub! I have very oily skin which causes clogged pores. This scrub cleans out the yuck. I will never use anything else!